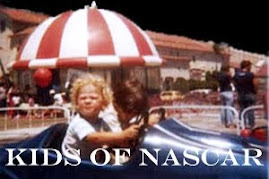 Hayley had grown a bit since I last spoke to him, and has been making a name for himself in the truck series. 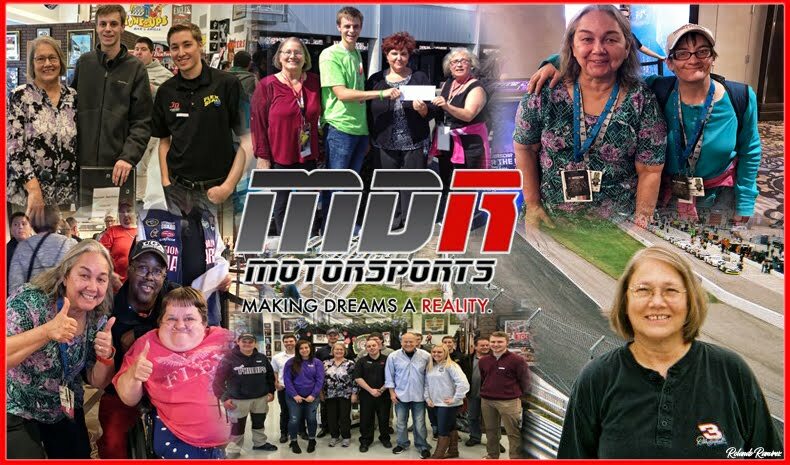 The Canadian first raced with the ThorSport team during the 2015 NCWTS season. With four top-fives and thirteen-top tens, Hayley ended his freshman season, sixth in the standings. This season, the nineteen-year-old driver of the No 13 Cabinets by Hayley Toyota Tundra has finished 9th, 10th, and 11th in the first three races which is good enough to seat him fifth in the point standings. Hayley is part of the four-truck powerhouse team for the 2016 season alongside teammates Matt Crafton in the No. 88, Rico Abreu in the No. 98 and Ben Rhodes in the No. 41. 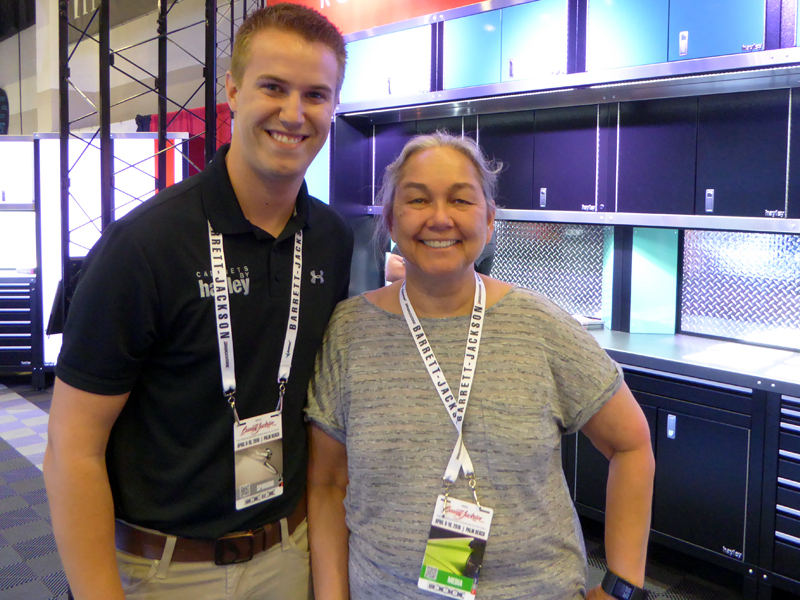 Keep your eye on the #13 Camping World Series Truck; NASCAR Race Mom predicts that Cameron will pick up his first series win very soon. Cameron led laps and battled for the lead with Kyle Busch and Kyle Larson. However, Hayley was shuffled back to twenty-second, with under thirty laps remain. Nevertheless he charged back to finish ninth. 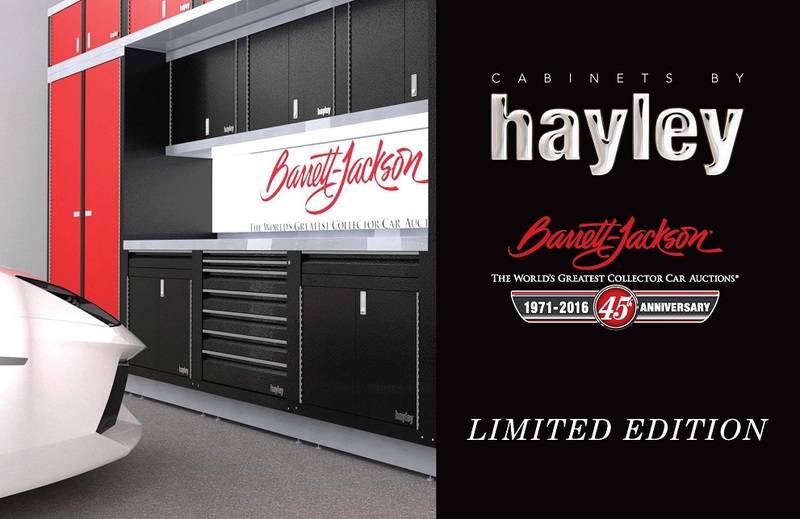 *Since 2016 is Barrett-Jackson Auctions 45th Anniversary, in celebration, Cabinets By Hayley and Barrett-Jackson have teamed up to offer an Exclusive Commemorative 45th Anniversary Limited Edition cabinets series available only for a limited time. There will only be 45 sets produced and number 1 of 45 will be in the Barrett-Jackson Showroom for years to come. Numbers 2 through 5 were available and on display at the Barrett-Jackson Auction in Scottsdale from Jan 23 to Jan 31 2016. The forty additional sets are available to order in the configuration and color of your choice and all sets will come with a Signed Certificate of Authenticity.